If you’re looking for a Lakeland, Florida orthodontic practice where you can find comprehensive orthodontic care for your entire family, look no further. At Orthodontic Specialists of Florida, located at 4740 Cleveland Heights Blvd. 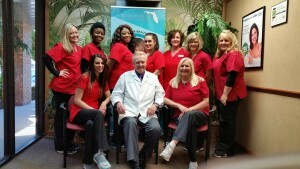 Suite 4 in Lakeland, Dr. Leo Durrett looks forward to helping you achieve a beautiful, healthy smile. We provide quality orthodontic care for all of Lakeland as well as Lake Highlands, Lake Hollingsworth, Canterwood, Medulla, Grasslands and Eaglesbrooke communities. People who live and work in Lakeland and surrounding communities know orthodontic care provided by Orthodontic Specialists of Florida will not only enhance your appearance but also help patients both young and old experience improved oral health. Orthodontics offers specialized care that is mainly associated with restructuring jaw movement or teeth to create a healthy, attractive smile. However, the ultimate goal of these services is to make sure patients’ teeth and gums stay healthy. Teeth that are crooked or out of alignment leave spaces for food particles and germs to collect. Spaces between teeth will also leave the gums open to damage by plaque and bacteria. Orthodontic care also makes it easier for patients to chew thoroughly and talk clearly. Standard metal braces are usually the best choice for treating children and are the cornerstone of pediatric dental care for kids. These are made from stainless steel and affixed to the front surface of teeth with brackets. Crooked teeth often make it hard for patients to speak or eat properly. Orthodontic treatment can help patients improve their oral hygiene, making it easier to prevent tooth decay and gum disease. Braces help to straighten teeth, providing patients with an improved smile and increased confidence. After receiving a doctorate degree in Dental Surgery from Creighton University of Omaha in Nebraska, Dr. Leo J. Durrett decided to accept a teaching position at the university. He then moved to Chicago where he honed his orthodontic specialty at the University of Illinois. From there, he moved to St. Petersburg, Florida and began a career in orthodontic care. He is excited to welcome patients who live in the Pensacola, Florida area to the Orthodontic Specialists of Florida office for consultation and treatment. We always welcome new patients to our office. If you are searching for a Lakeland, Florida (Polk County) orthodontist, we hope you’ll call to set up your free consultation at our Cleveland Heights Boulevard office. If you’re unsure whether treatment is necessary, we also offer second opinions at no cost to you. Dr. Durrett looks forward to establishing a relationship with you and your family, providing you with the highest quality of orthodontic care and assisting you with any of your orthodontic needs. Please call us or drop by today to meet our Lakeland orthodontists!